I just blogged about why Patricia McLinn books are not in Kindle Unlimited, including that I don’t care to be associated with an ecosystem (Kindle Unlimited a k a KU) that spawns scammers. Now there are people trying to sell courses (charging $2,500 !!!) on how to make 6 figures a year on KU. Not by writing good books, nah, that’s entirely unnecessary. In fact, the course tells you that you don’t need to write anything. Any. Thing. Because, gee, why would anyone ever consider writing a book in order to make money by selling books? This came to my attention from fellow author Suzan Tisdale. I consider this a triple scam. Some of the people who will fall for these Here’s The Secret scams are just looking for a quick buck and have no interest in writing. They’re scammers, just as the course-offerers are, and I have nothing to say to them, except that they give carpetbaggers a bad name. There are also aspiring authors who want the dream so much that they can be tempted to try. Maybe it will be a shortcut. Possibly there truly is a Secret. Could be this will get them over the hump at last. These scamming ghouls batten on those dreams. 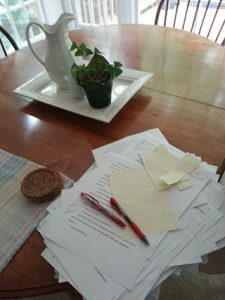 When I started in the publishing biz (before the Internet, back when I was a toddler), one of the big scams was for “agents” to tell an aspiring author that they liked their proposal or manuscript and all it needed was some tweaking and polishing from a book doctor and – surprise! – they happened to know just the book doctor who would do this tweaking and polishing for a mere $250 or $500 and when that was done, the agent could surely take the book and the author to the Big Time. What actually happened was the “book doctor” got their money, the agent got a kickback, the book was no better (often worse), the agent wouldn’t represent the author or the book, while dangling out the possibility that perhaps with a second round of doctoring… And the aspiring author was cheated out of money, time, and hope. Years ago, a then-aspiring author came to my booksigning to support me (bless her!) She joyfully told me about the interest expressed by an “agent” in her work and this “agent” said all it needed was a little tweaking and polishing, so she’d signed up with the recommended book doctor just before coming out… I felt like the worst killjoy on earth, but I would have felt worse not telling her the possible/probable dangers. She went home, researched a bit more, and cancelled the credit card payment. The current iteration of scamming aspiring authors is worse. Not only do these “How to Make a Bunch of Money On Books” cost a whole lot more than the old scams, but they are leading these aspiring authors into publishing stuff (there are other words I am tempted to use, but I’m restraining myself and sticking with “stuff”) that will tarnish their reputations with readers and in the author community. First, There Is No Secret. There just isn’t. Instead, there are 43,752,194 incremental improvements in your writing, in your marketing approach to finding readers who connect with your works, in your acumen in running a business that will earn you a living and support your love of writing. These scammers preach there’s no reason for an author to load tables with piles of edited pages — why bother when creating a good read isn’t their goal? About a quarter of those 43,752,194 are going to be things that vary from author to author, so each author must learn them her/himself. Another one-eighth are things that far, far less expensive courses, programs, and conferences can teach you in specific and timely detail, rather than a broad-brush, padded, and over the top expensive moneymaker for the presenter. Half is out there For Free. Truly. Absolutely for free. Check out How-to books from the library. Read blogs. 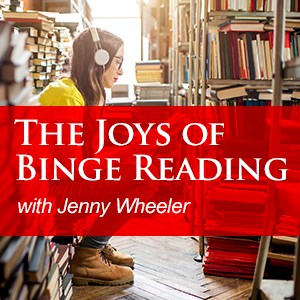 Listen to podcasts (including Authors Love Readers – yes, it’s for readers, but any aspiring author can pick up gobs of info. Look at authors’ websites, where many list info for writers, including mine. Join a writing group at your local library, through a local or online chapter of a writing organization, through meetups with other authors. Become part of the writing community. Give and you will get back so much. At the same time and in the same place I was hearing about these exorbitantly priced “courses,” authors were helping each other with information about various business and author life pitfalls. Sharing. For free. Keep that $2,500 in your bank account. The only charge in the writing community is paying some dues of experience and the expectation that all will contribute fairly. If you’ve been paying close attention, you’ll know there’s another eighth to account for. Those are the things that truly sink in for you and become actionable … after you’ve shared them with other writers. You think you’re teaching, but at the same time you’re learning even more. The people selling courses and at least some of those taking the courses are not interested in offering readers a good story and a satisfying reading experience. 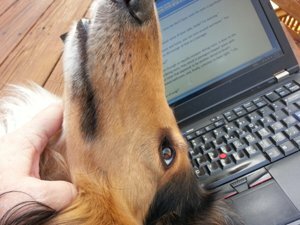 Kalli wants to know why I spend so much time writing … after all, these courses would tell me for a mere $2,500 how I could make 6 figures without bothering to write. They want your money while putting in the least amount of effort possible. They don’t care if you come back to read subsequent books because they are not building careers. They are not in this for the long haul, but for the quick score. They are creating fly-by-night pseudonyms to grab your money and run. In addition, as I’ve written about in other blogs, their junk – aided by Amazon’s algorithms favoring Kindle Unlimited titles — clogs up the whole KU system, making it harder for you to find what you want anywhere on Amazon, inside or outside the Kindle Unlimited swamp. As these scammers’ methods divert more of your book-buying dollars away from authors trying to build a career by, um, actually writing books, they can no longer make a living writing and they must look elsewhere for their livings, which obviously cuts way down on their writing. More and more legit authors being pushed out of the business, means fewer and fewer good books for you. Am I repeating myself? Yes, yes, I am, I am. If you’ve read my previous posts, you’ll be hearing an echo. I’ll try to keep it short. First, people shoveling junk into KU and employing tricks and schemes to get that junk to the top of the Kindle Unlimited and Amazon lists, combined with Amazon algorithms that favor Kindle Unlimited books over all others (except, possibly/probably, Amazon imprints) block other books from reaching those top spots. The top spots get the most visibility. Being blocked out of those spots mean fewer opportunities for readers to find a book. Fewer readers finding a book means fewer sales. Fewer sales means less visibility … and a downward spiral. Second, the way Kindle Unlimited works rewards these scammers with pots of money (that’s what’s attracting the get-rich-quick carpetbaggers) while decreasing the pot to be shared by legit authors. Have I mentioned I don’t like Kindle Unlimited? The fourth entity that an observer might say is being scammed is Amazon. However, Amazon will make its money either way — whether readers are served up “product” by people looking to get rich quick or are offered books by writers having or wanting a long-term career. If Amazon cared about its reader customers it would have done something about this long ago. So, Amazon is not being scammed. It is – at the least – supporting the scamming by the way it set up and continues to run Kindle Unlimited. I don’t see how KU can be saved at this point. It’s simply too polluted. I’m not as optimistic as I was about Amazon being worth saving, either. —Spread the word about the books you love. You are the most powerful force to subvert the stranglehold on Amazon visibility that these scammers have staked out. —Leave KU. It’s polluting the entire reading planet. I understand the pressure of budget. Boy, do I. But you can shop the deals, use libraries, get on my mailing list for alerts on sales. You can read on a budget without supporting a system that spawns scammers. —If you’ve encountered these scam books, report them to Amazon. —If you’ve trustingly bought one, return it. —Be careful out there – I don’t want any of you folks caught in these scams. Get Sign Off, Book 1 in the Caught Dead in Wyoming mystery series for free! It’s a twisty-turny whodunit with humor and a touch of romance. Want more romance? Try Almost a Bride for free and start the Wyoming Wildflowers series of contemporary western romances with humor and heart. Be sure to sign up for my newsletter and you’ll never miss news, releases, deals or giveaways! Thank you for the informative information. I had thought about joining KU and now I am glad I didn’t. Keep up the good work. Thanks. I hope you won’t be so downhearted in the future. As an independent author I make more money now through page reads than purchases. Readers like me have filled the Kindle and don’t want to buy every new book. Non fiction books can also be quite expensive so it works out cheaper to read in KU. I do not read in KU myself, as the TBR mountain is enormous, and I’m in libraries. Amazon is losing money mainly to click farms which subscribe each of a bank of phones to KU. So Amazon sees subs coming in and no complaints. I agree it is very important to complain if you get substandard books like this; also point out to Amazon if you have not downloaded due to suspicions about fraud. Amazon does catch up with wrongdoers in time. Personally, I review every single book I read. I also check books and authors on Goodreads before purchasing. Re the scammer course; remember if it looks like fraud, its not a bargain and may be illegal. You could have mentioned Author House and the other publishing offers by salesmen who make their money from selling things to the budding authors, not by selling books. I strongly recommend doing net searches for any agent or publisher to see what genuine authors and genuine journalists say about their services. I've appeared on other book talk podcasts and videos, most recently as a guest on the Boone County Public Library’s podcast featuring innovators and creators in northern Kentucky. : You can view these podcasts on my YouTube Podcasts on Writing channel. Boone County Public Library’s Innovators & Creators podcast featuring innovators and creators in our community.